I couldn’t resist joining in on the Fat Quarter Shop quilt along for Mini Charm Chocolates (even the name sounded delicious!)…. I have quite a few (ahem, ok, more than a few) mini charms and this is a great little pattern that is very flexible! I chose to make the table runner size but with a few more mini charms (or maybe a charm pack cut up) you can make a much larger option as well. I chose Merrily by Gingiber from Moda – it is a Christmas line but reasonably subtle with it. And they are the perfect colours for a present for a friend! The Mini Charm Chocolates pattern comes together very quickly and it is easy patchwork – great for chain piecing. As my friend is a little particular about things being in the correct place, I made sure that the fabric repeated itself perfectly… luckily with the Merrily line there were enough repeats that I could do this! 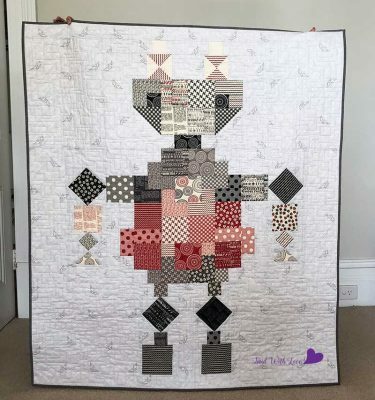 Please note if you are attempting the exact same placement as me – I did have to cut one additional 2 1/2″ square of the grey (middle bottom) from my stash – Merrily had an extra brown piece, but not the grey! My friend would have freaked out (and probably never used the back) if it hadn’t matched! I quilted the ‘snowflake’ crossing every third coloured square, which in turn created some snowflakes in the white background as well. 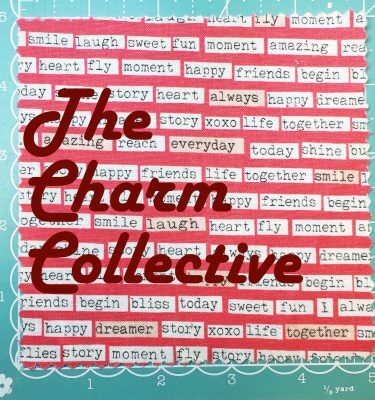 Check out the Jolly Jabber for a blog post showing all the other versions of the Mini Charm Chocolates pattern and the video. 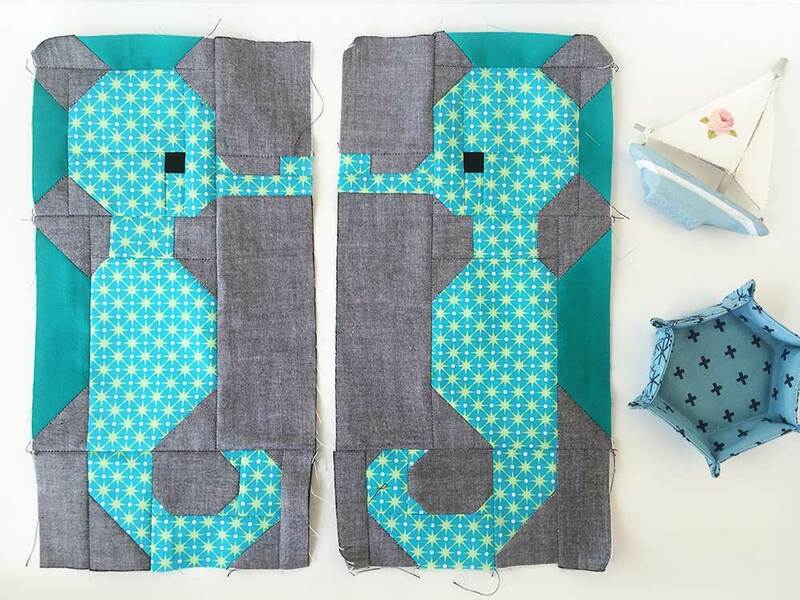 The pattern is well written and in lots of different sizes – a great pattern for that quick mini charm project! And who doesn’t need some quick projects for presents! I am so glad that I checked my email this evening! 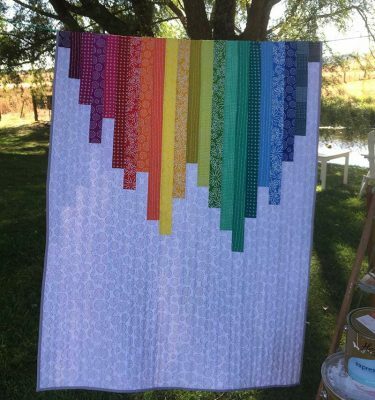 This pattern looks like such a fun and quick quilt project to put together. 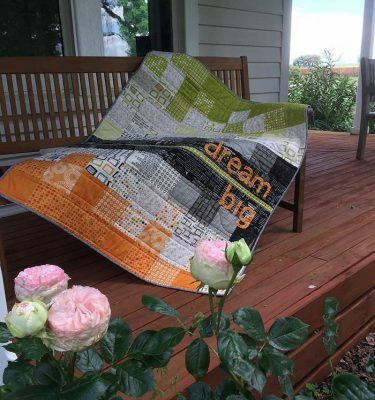 The hardest part would be in choosing which fabrics to use and how big to make the quilt. 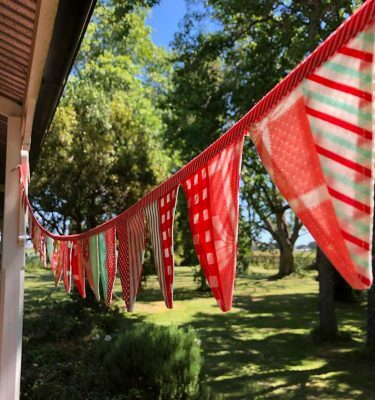 Thank you so much for sharing your lovely Table Topper and for sharing the link to the Fat Quarter Shops Jolly Jabber. Have a great day! It is such a quick and easy, but looks so good, kind of project! I hope you can whip up a few ??? ?